Welcome to the BCPA blog! We encourage you to read the posts below and comment to engage others in conversation. If you have an idea for an upcoming blog post, please email info@bcpa.org with the subject line "BCPA blog". Minnesota might be experiencing its wettest year since 1871, but that’s no reason to get complacent about the real threat of fire damage. We might be underwater now, but it’s still a good time to discuss how to prepare for a potential fire. If you have flammable or combustible materials, make sure they are stored in the proper containers. Keep these materials away from exits to the building. If they do combust, you do not want fire blocking exits. These materials should also be stored in an area where you have good sprinklers to quickly contain any fires that might occur. In the event of a fire, communication is key. Quickly alerting employees of the need to evacuate or respond to a fire will save lives and possibly your building. Make sure you have enough alarms in the right places throughout your business. If you’ve changed the layout of your business or how the space is used, it’s a good idea to reevaluate your alarm placements. You should have your alarms tested annually at the very least. 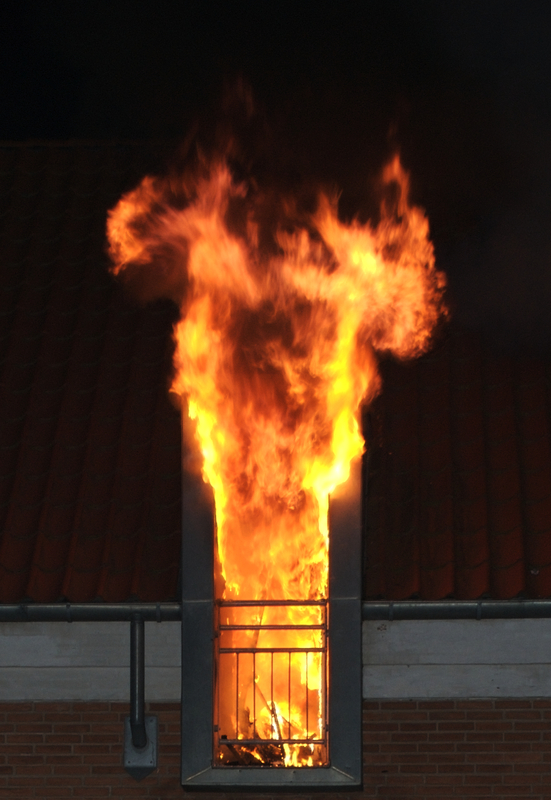 If you can’t stop the fire from starting, a good sprinkler system can stop the fire from spreading. Sprinkler systems have been used to suppress fires as far back as the mid 1800s and modern sprinkler systems come with 3D technology for detecting and responding to fires. To effectively suppress fire and save lives, sprinkler systems need to be properly installed and maintained. Test your system regularly to ensure it’s working properly. To avoid unnecessary downtime, backed up records should be stored offsite in a place where they can be easily retrieved if needed. For essential documents stored onsite, consider putting them in fireproof containers near sprinklers. Your property insurance policy probably does cover you in the case of fire, but it’s probably also a broad form policy that covers a variety of perils. It’s important to understand how much your policy really does cover if there’s a fire so you can increase coverage specifically for fires if need be. Businesses may be inclined to keep insurance premiums low and not add on additional coverage; just keep in mind that a fire could destroy an entire building and everything in it. It’s a good idea to insure for the value of the whole business. If a fire destroys your business, the cost of replacing old equipment with new is likely to be much greater than the value of your current equipment. Make sure you review your policy frequently and understand what it will cost to replace at changing prices above and beyond the value of what you currently own. Fires can destroy buildings quickly, and businesses. As always, being prepared will help you recover quickly and keep your business running despite disaster. Experiencing a fire can be a scary and devastating event, don’t let it also put you out of business. Climate related hazards: Is your business at risk? Paul Douglas, founder and senior meteorologist at Media Logic Group, recently discussed our extreme weather at the Secure360 Conference, sharing about how weather is getting even more extreme over time. The warm weather El Nino is expected to bring this summer will also be affecting, and likely increasing, chances for tropical storms. The Atlantic hurricane season is already here. You might think that in Minnesota, hurricanes won’t affect your business, but if hurricanes affect your supply chain, they could affect you a lot. An earthquake and tsunami in Japan can affect worldwide pricing and distribution of certain parts or materials including cars, cameras and computer components. According to Douglas, climate certainly is affecting weather related disasters: wildfires are getting larger and causing more damage, hurricanes are increasing in intensity, average storms are causing more damage, heat waves are becoming more widespread, draughts are causing widespread damage to farms and businesses and precipitation is being concentrated into more extreme events that can lead to flooding. All of these weather-related disasters have the potential to affect your business, and you need to protect yourself against them. Understanding and identifying the weather risks that potentially affect your business is the first step to mitigating their risk and preparing to prevent or manage them. Oftentimes, preventing a climate-related hazard is going to be extremely difficult, but understanding how a hurricane in Florida or flood in Colorado will affect you and your suppliers will help you prepare your business for those events. Create a team to identify risks that includes partners from your suppliers to identify contingency situations. Build a flexible supply chain; think about alternative transportation options for your most important links and keep your eye on alternative suppliers. 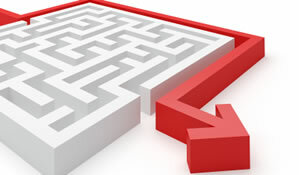 Be prepared to act quickly if a change needs to be made in your supply chain; get preapproval for necessary changes and keep everyone informed about your plan. Update your plan regularly to ensure it’s still the best option and all alternatives remain viable. We’re living in a global economy and sever weather anywhere on the planet can have far-reaching affects, even if your business never sees the dark clouds coming. Weather can be extreme; we can’t control it, so prepare your business for it. We recently wrote a blog post about new emergency preparedness apps being launched by John Hopkins, to say that using apps for emergency management is trending would be putting it mildly. These days, there’s an app for everything, for better or for worse. In our May meeting we discussed business continuity and disaster recovery software and tools; some members of the panel expressed excitement for apps that would soon make BC/DR software available in an app. The idea of having access to information to prepare and respond in an emergency from wherever you are is exciting and valuable in our industry. So, where can you go for mobile emergency management and response? Let’s take a look. We were excited to give out flashlights at the Secure360 Conference this year. It was a great way to meet people, and let’s face it, a flashlight is a valuable tool in an emergency. And, there’s an app for that! It’s so simple that you might not think of it, but being able to turn your smartphone into a light source could make a big difference during an emergency, even if it just allows you to find you matches or better flashlight. Quick, what are the rules of cardiopulmonary resuscitation? The American Red Cross has a first aid app that will walk you through everyday first aid scenarios in case you can’t remember. The app also offers safety tips, is fully integrated with 911 so you can easily call for additional help and the preloaded information means that you’ll have access to it even without an internet connection. The University of Minnesota’s School of Public Health has a psychological first aid app that helps those previously trained in psychological first aid respond to disaster survivors and prepare for potential disasters. FEMA’s app includes disaster safety tips as well as an interactive emergency kit list, information about emergency meeting places including maps with open shelter information. The app also allows you to report disasters and submit photos, information that will be shared with others. You probably all have weather apps on your phones already. In our April meeting we talked about how important these apps can be for keeping everyone informed and for alerts when severe weather is approaching. Because weather apps are commonly used, they can be a valuable resource in keeping you and employees informed. The world is mobile, and more than ever we expect to be able to find information on the go. Emergencies cannot be planned for, but chances are that you’ll have a mobile device on you when they happen, aren’t bad. Mobile apps cannot replace training, preparedness and experience, but they can be useful tools in an emergency. The above-mentioned apps are just a few of the emergency management apps out there. 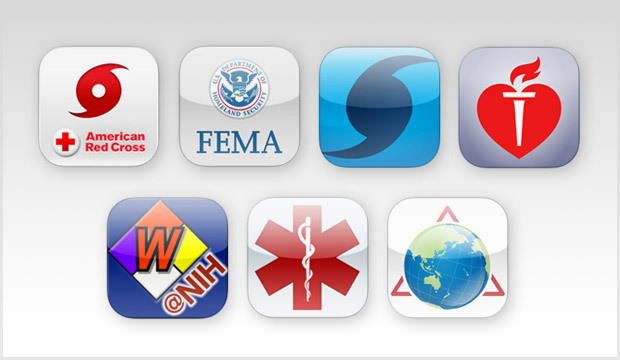 Are you currently using any of these or other emergency management apps? Which ones would you recommend? Every successful business continuity plan is going to be different depending on your industry, your company and your unique needs. However, some elements remain the same in all successful plans. Making sure your plan has these must-haves will help ensure you stay up and running when emergencies strike. 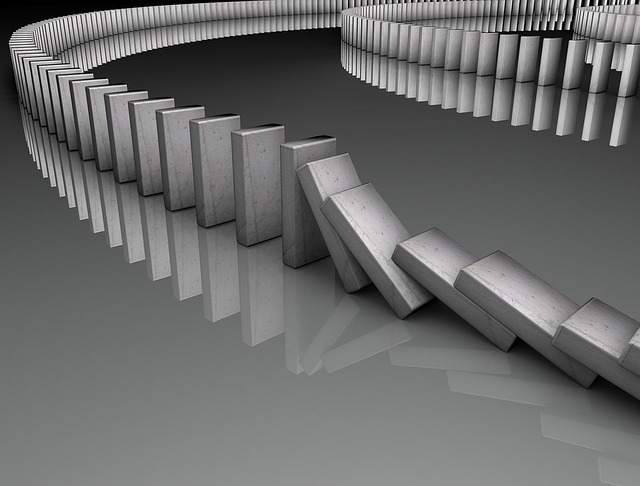 Business continuity is not a one-person job; it takes a team. And a supporting team. The most functional teams are going to know and understand the chain of command. Knowing who is responsible for what actions is important so tasks aren’t duplicated and none fall through the cracks. Your team needs to know how to eliminate cracks by know what they need to do and what others are already doing. Knowing who has authority to make decisions is also vital. The best business continuity teams are made up with employees from across your organization. Make sure someone from human resources, physical security, communications, finance and any other important departments are all represented on your core team. Each member of your core team should have a support team that understands the importance of your business continuity plan and their roles in carrying it out. Getting a team in place is a great step, but without a plan, they won’t have much to do. When you’re creating your plan, make sure you identify potential disruptions and risks, plan for worst case scenarios and prioritize business functions that need attention in emergencies. Your functions and priorities may change with time. Once you’ve created your plan, be sure to review it regularly to ensure it’s still relevant for your current operations. 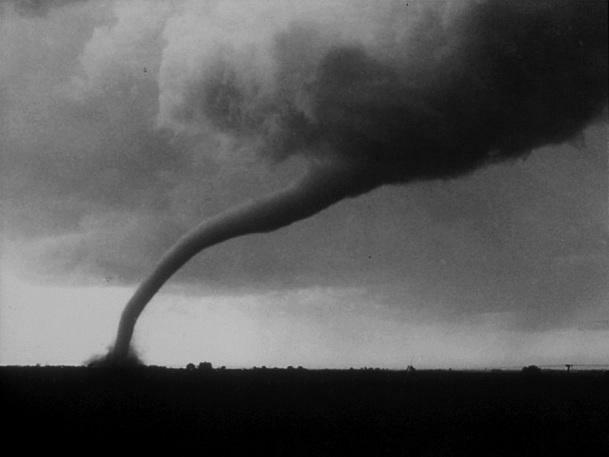 No, you aren’t going to have a tornado or a business fire practice run, but that doesn’t mean you don’t need to test your business continuity plan. Practice drills and evacuations at least annually. Use apps or software that can help you simulate disasters to see if there is something you’ve missed. The business continuity team isn’t the only team that needs to know what needs to happen in an emergency. Everyone has a role, and everyone needs to understand what his or her role is. It might be as simple as evacuating, but employees need to know when and how to evacuate should the time come. They should also know what resources are available should they detect a threat or need answers. Make sure all employees understand what will be expected of them post-crisis. If they need to call in to let you know they’re safe, train them on where to find the phone numbers they’ll need. Overlooking these simple things beforehand can create chaos after a disaster. When it comes to business continuity planning, if you plan for the worst, it’s reasonable to hope for the best. No plan will be perfect, but having a good team, an educated workforce and a tested plan will help your business run more smoothly through crisis. Did you know that the United States has the greatest frequency and most severe tornadoes in the world? Minnesota has seen a tornado in every month from March through November. Late spring and early summer are the most active seasons for tornados in Minnesota, which makes right now tornado season. Your business needs to be prepared for these powerful and destructive events. Minnesota is on the northern border of what’s known as “Tornado Alley,” the region where tornadoes occur most frequently in the United States. This may not be a distinction to be proud of, but it’s certainly one to prepare for. The best place to start is at the very beginning. If you’re building your business from the ground up, literally, you want to be sure to use proper construction techniques and keep all construction and materials up to current codes. FEMA has found that enhancing construction minimizing building damages in tornadoes. Sever weather including tornadoes can develop quickly. Planning ahead is essential to reacting quickly and effectively when a tornado strikes. Practice tornado drills in your offices and make sure you have a designated safe place for employees to take shelter. Tornado sirens don’t always give enough warning when a threat is present. That means that your organization needs to be paying attention to weather threats and be prepared to act quickly when a real threat is detected. A planned response for how your organization will handle tornado warnings versus tornado sightings will help prepare everyone for action with enough time to get to shelter. Reacting quickly requires that you understand your community’s warning system and you have a way to monitor weather closely. In the event that a tornado does disrupt your business, it’s important that you have an up-to-date inventory of all your equipment. Regularly backing up data including tax, accounting, payroll and employee information will help you get back up and running more quickly. And of course, keep those backed up files in a safe off-site location. No matter what you do, you cannot prevent a tornado from striking your business. However, you can make sure your insurance policy includes tornado damage. Insurance can cover necessary costs of getting back up and running or even relocating your business if need be. In Minnesota, “if” a tornado is less the question than “when”. Preparing your business in advance to react to the threat of a tornado could mean the difference between losing valuable assets and lives and surviving the storm. Have you been through a tornado? What advice can you add? No two businesses have the exact same business continuity or disaster recover needs, and that means that although we’re all using tools, no one tool works for everyone. 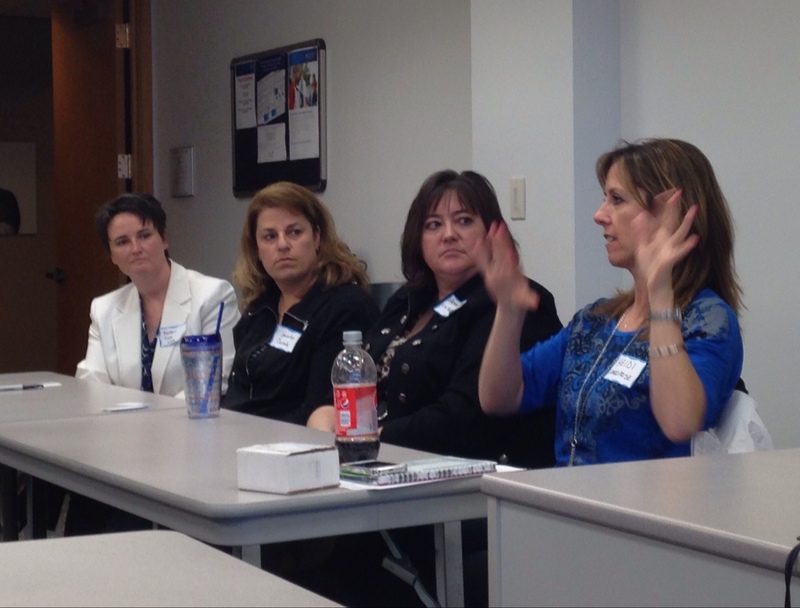 For our May meeting, we assembled a panel made up of four women from local companies all using different BC/DR tools to discuss how each can meet our needs and explore solutions to some common challenges we all face. 1) Although most of the panel members had very little control over the tools they were using, most were happy with the way they were meeting their organization’s unique needs. 2) Communicating to employees that contact information is for emergency use only, that no one’s manager would be calling them after hours for any other reason, helps to get buy in and employee contact information that is vital for alerting them when incidents happen. Communicating regularly can significantly increase the amount of data and its accuracy. 3) Bottom line, although no one tool is going to be right for every business, a common trait that each tool must have is that it be useful and work in case of an incident. We had a great time hashing out the ins and outs of what works, what doesn’t and sharing ideas and suggestions for solving common challenges. Thanks to everyone who attended for a great conversation. Let’s keep it going! What software or tools are you using, and what are the biggest challenges you face? Technology is constantly improving and changing not only our risks but also how we approach crisis and emergency situations. Social media has made a huge impact on how emergency communications are managed, mobile technology is changing how we do our jobs too, and that includes apps. 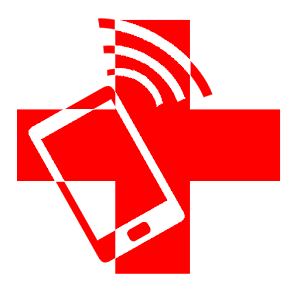 Recently, John Hopkins launched two new emergency preparedness apps: Surge and Flucast The apps are designed to help hospitals and clinics prepare for health emergencies and other disasters. The free tools are already being used and tested by Texas A&M, FEMA Region 1, a few state health and emergency planning departments including Washington and Oregon. So what exactly are these new apps? Surge is an app that helps hospitals predict what capacity might look like in the event of a disaster. The app simulates the number of arrivals and discharges, predicts the number of beds that may be used. App users can see the numbers played out in different disaster scenarios and try different strategies to alleviate capacity stress. Factors that can be changed include the number of beds in the hospital and what ailments require priority treatment. The Flucast app uses Google Flu Trends data, hospital locations and a history of flu trends to forecast the week’s flu cases. The app also pulls statewide information. Fluecasts functions as a surveillance tool and also helps hospitals and clinics predict increases in visits due to influenza and prepare for it. Crisis can be tough on the brain, any outside help we can get from technology is nice. However, will relying on apps that may fail actually hurt us? Because of mobile technology, we’ve already lost the need to remember phone numbers, potentially hindering communication when cell phones are down. Will relying on emergency preparedness apps actually make people less likely to adequately prepare? Hopefully not. The apps developed by John Hopkins are a huge advancement in emergency preparedness. They are meant to be used as planning tools, not in-field response tools. If used well, they will help hospitals and clinics prepare and be able to better respond when emergencies do happen by helping them imagine scenarios they may not have considered. Are you using an emergency preparedness app? How have they improved your emergency response? There are a more than a couple of excellent educational conferences coming up for professionals in the business continuity, disaster recovery, emergency management and security industries. It’s our mission to provide members with educational opportunities, and that includes sharing with the community about where else you can find events. Here’s a list of a few local opportunities coming right up. At BCPA, we’re proud members of the Upper Midwest Security Alliance (UMSA http://umsa-security.org/ ) who puts on the Secure360 Conference now in it’s 9th year! This is the premier educational conference for the information risk, risk management and security industries. Plus, it’s right in our back yard! BCPA members do receive a conference discount. Find the discount code on our website after you’ve signed in. In addition to the two-day full conference, we encourage you to attend the Secure360 Pre-Conference on Monday May 12 where you can participate in a half-day Emergency Management Mock Exercise. Practicing for emergency situations will help you better prepare for the real thing. This is a great opportunity for everyone in the emergency management industry. Be sure to visit us at the conference! We’ll be exhibiting in Booth 9 and offering a discount on new memberships! Another event right in our backyards! Security B-sides is a free conference (but registration is required) that brings the local security community together to have discussions, connect and make opportunities happen. The event consists of speakers, keynotes, workshops and snacks! Security B-Sides is currently calling for papers. If you have wisdom you can share check out their call for proposals. Because this conference is free and it attracts high-quality speakers, it fills up quickly. Don’t hesitate, register now! The Cyber Security Summit is focused on changing the paradigm of how we look at digital space and security. This summit brings together industry, government and academics in an effort to improve the state of cyber security on a domestic and international level. This summit, now in it’s fourth year, has some great speakers and keynotes lined up. Attend this summit to learn about what cyber security means for American businesses, the impact of data breaches and how to protect yourself, the changing threat landscape and more! These are just a few of the many opportunities happening this year in the Twin Cities. What conferences or events are you planning to attend this year? Our recent April snowstorm should be proof enough about how unpredictable weather can be, not just in the spring, but all year long. This week is Severe Weather Awareness Week and we've been focusing on storms and how we can prepare and react to save lives and keep businesses running efficiently during and after the storm. To get a better idea of what we can do to gear up for severe weather, let’s use an infamous snowstorm from the past few months-not one of ours. The snowstorm that shut down Atlanta in January has a lot of good lessons for us, even here in Minnesota. 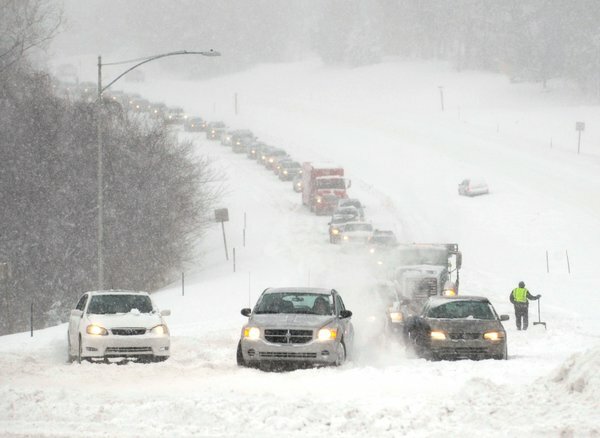 Atlanta may not have been prepared to deal with the over three inches of snow that landed on them, but how they handled their emergency is a learning lesson for business continuity professionals everywhere. Many blamed weather reporting service for a lack of preparedness. Reports and predictions were not fast enough or accurate enough for everyone to properly prepare. If that’s true or not is hard to say, but either way it’s a great reason to start thinking about how your business gets information about impending severe weather. During our April Meeting, Julie Anderson of Homeland Security and Emergency Management warned us against waiting for sirens to react and encouraged everyone to put an alert system into place with multiple information sources. Mobile technology gives us access to weather alerts on our phones, in the palms of our hands. Weather radios can also be a good source of accurate and timely information. However it is you’re getting your information, you need a plan and it needs to be reliable. Once your business knows severe weather is coming, you need a communication plan for how and when you will alert employees and what actions you’ll recommend they take. The traffic jam that occurred during the Atlanta snow storm that left commuters stranded for hours in their cars was the result of a mass exodus from work as reports came in of bad weather. Had the departures been staggered at intervals, road conditions would not have gotten so jammed up. Sheltering in places as opposed to sending employees home would have also saved lives and lightened traffic on icy roads. Businesses should be prepared to shelter employees for up to three days if it becomes necessary. Having supplies of food and water on-hand to keep employees comfortable is important, because even in the case that FEMA is coming to rescue you, they have a lot of work to do and it will take time. The Atlanta snowstorm turned what residents expected to be ten minute commutes into ten hour commutes. That ten hours was probably much more comfortable for those who had water and food stored in their cars. Learning by example is a great way to help prepare your business for a weather emergency. There may be a significant gap in what you plan and how you need to react, understanding the challenges Atlanta faced in January can help your business better prepare and react well when your emergency strikes. Hopefully no one will be dealing with any snow-related severe weather for at least another 6 months, but that doesn't mean that now isn't the time to think about your plan. The week of April 21st is Severe Weather Awareness Week. And, yes, we are talking about this again! We talk about severe weather for at least one week every year, and for some reason, the message just isn’t sinking in. That’s what Julie Anderson of Homeland Security and Emergency Management made clear to us at our April 10th meeting. Maybe you know what she’s talking about. We had a great discussion during our meeting and many members shared stories of friends, families or roomfuls of complete strangers who failed to heed warnings of threatening weather and alerts. It’s this apathy or misunderstanding that makes it so important for us to spend time thinking, talking about and planning for what to do in case of severe weather. Your business should be prepared to shelter employees in place for up to three days if need be. FEMA may well be coming to bail you out, but that can take time. If employees are forced to seek shelter at your business, you need to be prepared with water and other necessities to keep people comfortable and alive. Julie shared a story of pulling off Hwy 494 when there were funnel clouds reported in the area. She went into a restaurant to seek shelter, and she was the only one who knew of the nearby threat. She urged everyone to take responsibility for keeping informed about severe weather, perhaps through a weather radio or mobile phone alerts. Once a business is aware of a severe weather warning, they need to have a plan for when and how they will communicate that to employees. If you don’t have a process in place, now is a good time to think about how you will communicate about severe weather to your employees. Practicing your plan is vital to being able to successfully navigate severe weather. When the disaster strikes, you may not have the luxury of things going as planned, but it’s during practice that you become aware of what you are overlooking, and become better prepared. Even basic steps can go a long way when practiced. In an emergency, your brain just says “GO!” But you can prepare that go back in advance, so when you go, you’ve got what you need to keep yourself comfortable. In Minnesota, the most common natural hazard is flooding. This year, the flood risk is only moderate, but you still need to be prepared. When the siren sounds, it’s time to act. Sirens are manually operated and there is a lag time between when a threat is identified and when they sound. They are not an advanced warning system, they might be a good ten minutes or more behind the tornado sighting. The community is here to help. Familiarize yourself with the organizations in the area who can help during or after a weather emergency. As Julie pointed out, surviving a flash flood is half the battle; cleaning up and getting back to business or on with life is the other half. There are organizations out there who volunteer to help and understand that mold can be as devastating as flood waters if not handled properly. This month, we had a nice physical takeaway! 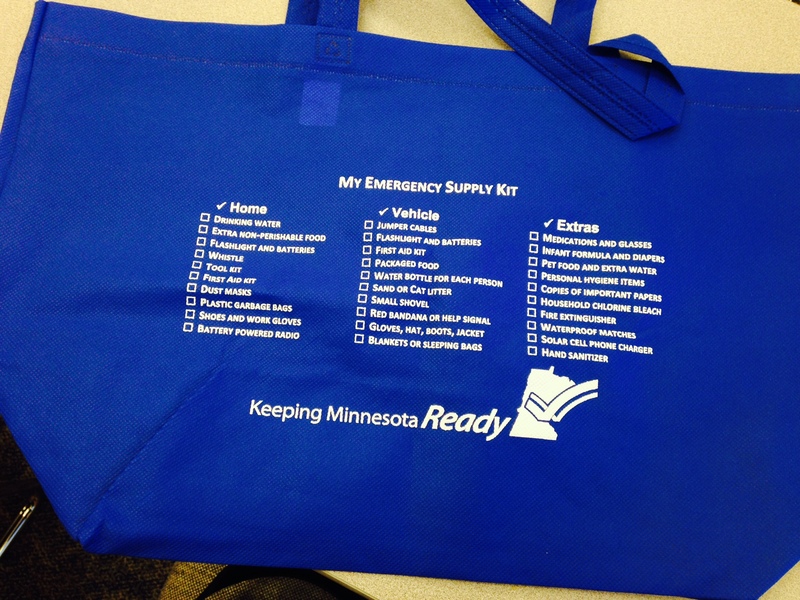 All attendees received an emergency bag, empty, but conveniently printed with a checklist of necessary items right on it. April’s meeting was another lively conversation packed with useful information. 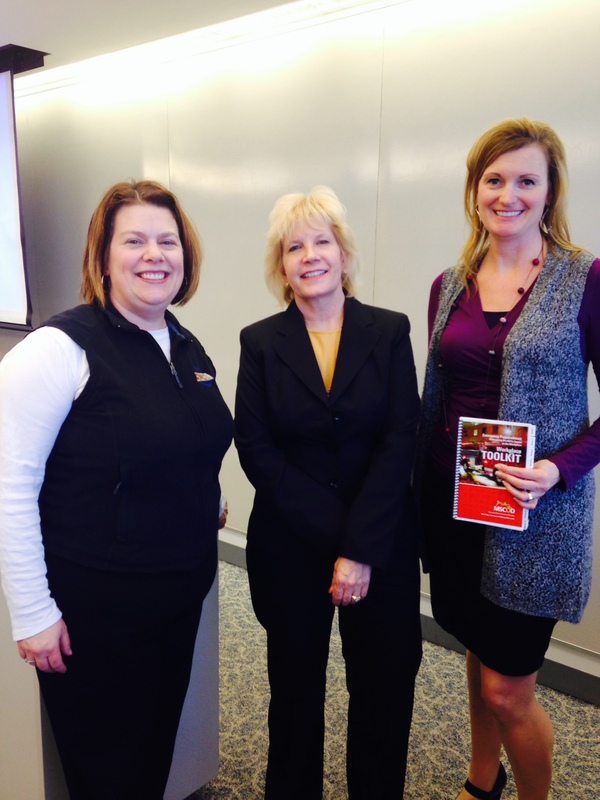 We thank Julie Anderson for coming out to speak with us and sharing ideas about how to prepare for severe weather at work and at home. Join us next month on May 8th when we have a panel discussion about BC/DR software. We hope to see you there!